After a crushing win on Finland’s super-fast gravel tracks three weeks ago, he switched his mastery to Germany’s tricky asphalt to lead world champion Sébastien Ogier by 12.3sec after the first full day. Tänak won Thursday night’s short curtain-raising speed test in St Wendel. Ogier, three times a German winner, demoted him in Friday’s opener as the Estonian struggled with the balance of his Toyota Yaris. 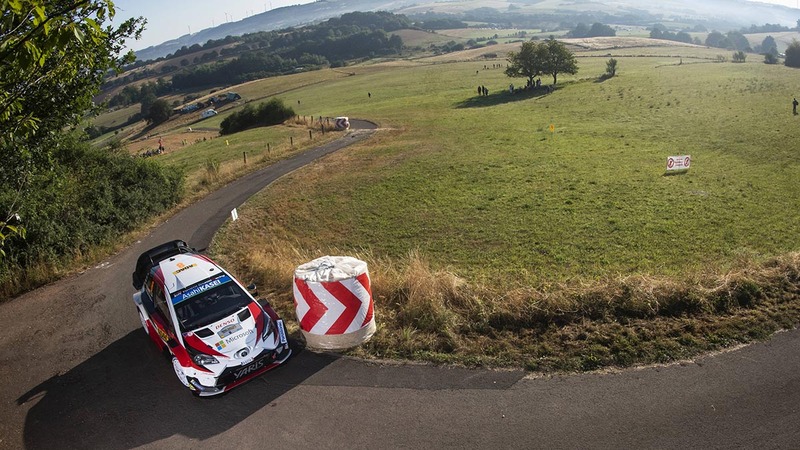 Tänak then won all five remaining low-grip stages on narrow service tracks that corkscrewed through the Mosel vineyards and smooth country lanes in Saarland. “Before the rally I had no idea how we would compare to the others. This morning didn’t feel perfect but the times were good. Conditions were pretty tricky this afternoon, but I pushed hard in every stage. Seb isn’t an easy guy to fight and it’s not coming easy,” he said. After a lacklustre performance in Finland, Ogier was back on form in his Ford Fiesta. The Frenchman admitted he had no answer to former team-mate Tänak, but distanced championship leader Thierry Neuville by 15.1sec after 101.42km of action. An oil leak in the gearbox of Neuville’s Hyundai i20 forced a change at mid-leg service. The Belgian lacked traction on the dusty asphalt and eyed tomorrow’s bumpier and more abrasive roads, which he believes will suit his car better. The leading trio pulled clear of a fierce four-driver battle involving Elfyn Evans, Dani Sordo and Toyota Gazoo team-mates Jari-Matti Latvala and Esapekka Lappi. Lappi held the initiative initially before Evans leap-frogged the other three drivers to claim fourth in his Fiesta by 1.0sec from Latvala. Spaniard Sordo was 3.9sec further back in his i20, a tenth ahead of Lappi, who failed to come to terms with dirt dragged onto the roads by the early starters.